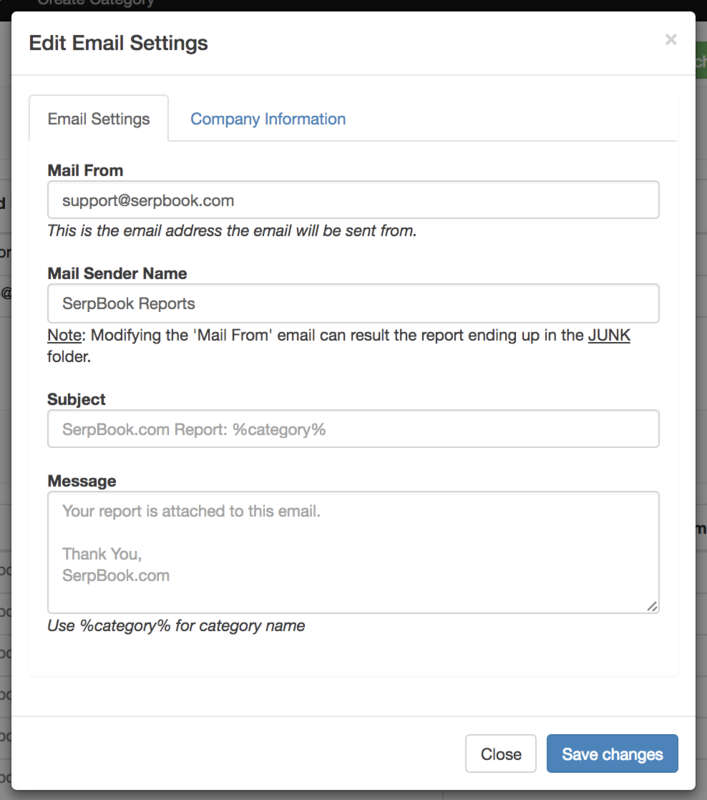 Email reports can be scheduled within the reports section. A new report can be added in by adding in "Add Scheduled Report". 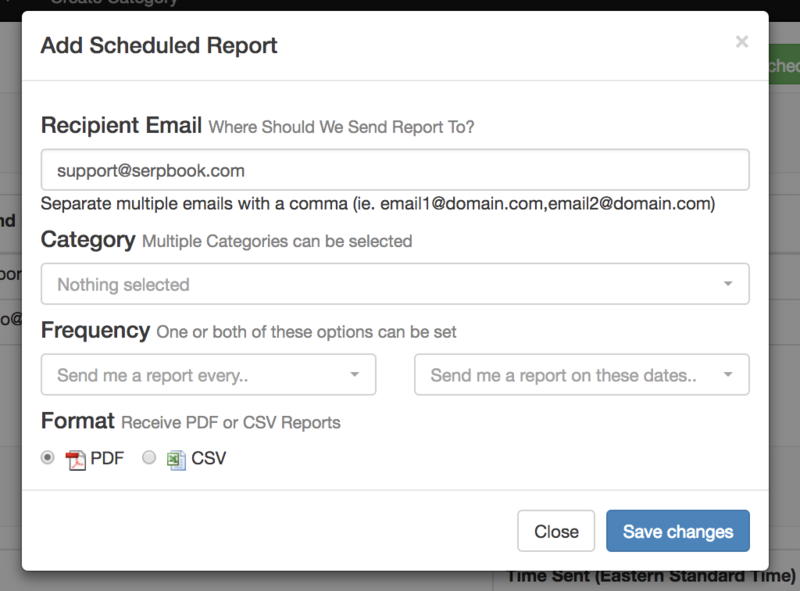 Enter in an email where you wish to send the report to (separate any multiple email addresses with a comma), then select the frequency and the format of report you wish to send out (PDF / CSV). The frequency of the report is specified as every X days and/or every X day of the month. Your email subject and body text can also be customized, allowing you use %category% to represent the category name in your email. 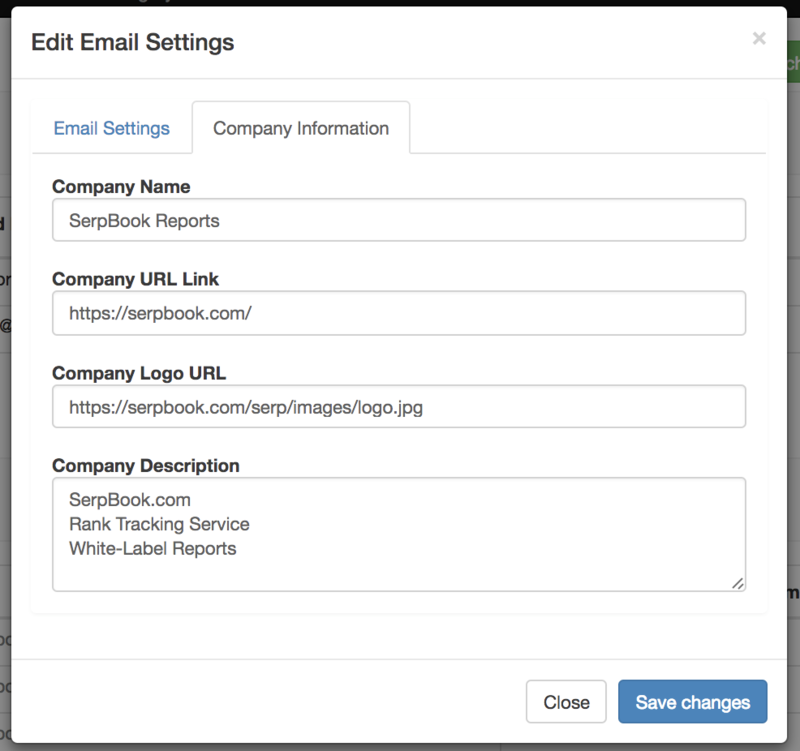 Email settings can also be modify to specify the subject, message body. Reports can also be brandable (white label) with your own logo and descriptions. Simply click on "Edit Email Settings" to modify this.